How are Businesses Using Social Media Generated Big Data for Market Expansion? Social media runs on consumer data and in turn, generates massive amounts of "big data" from the user side. We have users who spend about 3 hours daily on social media. Now, social media and social networking at not the same, however, they are not completely mutually exclusive of one another either. 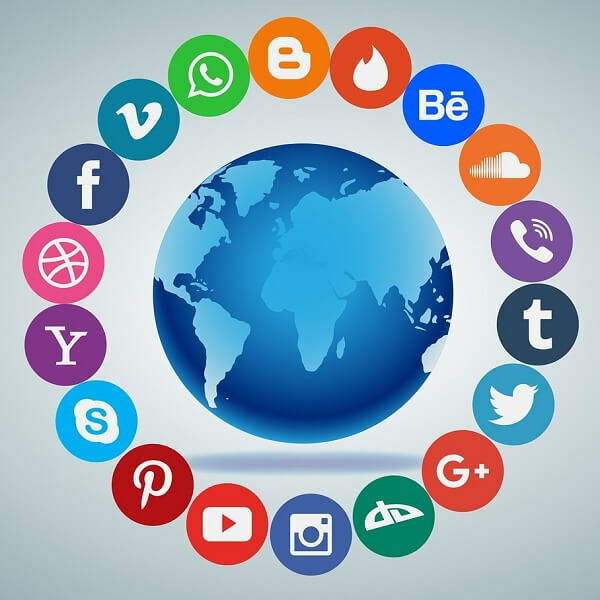 Therefore, when we talk about social media data generation, we are also taking into account all the data coming in from social networking sites like LinkedIn, Facebook, Twitter, and Instagram. Most businesses now have an online countenance. They have business profiles and accounts on almost all social networking sites. Some businesses are also on Medium and other blogging sites. It generates large amounts of data each day. The data includes user relationships, user preferences, customer behavior and spending habits. Any company which is on top of all the latest user-generated data can be in control of their hard ROI. Thus, we are seeing an increasing trend to monitor social media activities and collect all data for customer behavior analysis. Facebook: we have to start with the king of all social media sites. It collects 63 distinct pieces of data from all users for their API. It is more than any other social networking site. It has information on user preferences, ad preferences, click propensities, post statistics and everything else that constitutes Facebook. With the new video and live options, the task of moderating has become critical for all Facebook admins. The database is growing infinitely. The information and location of each video, post, and the user is essential to the organization, thanks to the rising trends of online user monitoring. Twitter: on 23 August 2013, Twitter was managing about 143,200 Tweets per second. That is from all users, globally. About 52% of all the US-based Twitter users get their daily dose of information from the social networking site. The tweets provide real-time information on the latest celebrity goings-on and the most recent global news. Right now, if you have to find out what Trump said about Global Warming, you are more likely to seek help from Twitter than The Guardian. It is the first-hand source of fresh information from the horse's mouth for every user. The admins and moderators have an enormous amount of data to manage and moderate. LinkedIn: about 22% of all LinkedIn users have over 500 first-degree links on the social network. LinkedIn is great for B2B marketers, sellers, and admins. They can connect with professionals from the same niche of work and people with the same interests. That makes building a secure database of user profiles, interests, jobs, first-degree links and relation mapping on LinkedIn monumentally important. Pinterest: it closely follows these three leading social networking sites in big data generation as of now. Pinterest is more of a caution site and search engine than a social networking site. Each post has multiple tags and falls in various categories. Therefore, managing data from Pinterest and linking each content on the site to the correct table is not only crucial, but it is also very tough for a DBA. The challenge on Pinterest is – over 80% of the pins on the site are repinned. Each post on Pinterest has a very long shelf-life as compared to the posts on LinkedIn or Facebook. Social media databases can be confounding at different levels. While new DBAs are still wondering what tables they should include, business owners are thinking about utilizing the massive data influx in their favor and analyzing them. Using a SQL database is always a smart choice for big data management. SQL databases are flexible, and they can grow faster than any other database. They use PHP for queries and data management. Every DBA knows PHP or at least parts of it, enough to manage a working social media database. Social media monitoring and data analysis is a different ballgame altogether. Data coming from social media channels and social networking sites can be immensely useful for all companies and entrepreneurs in determining customer trends. If you are among the budding entrepreneurs who want to tap into the potential of big data, you can do so by using smart analytics tools. Brandwatch: this is an international brand listening tool for all entrepreneurs, who want to reach out to a global audience. It can support 25 languages. Therefore, you can listen to social media and social network "chatters" from almost all corners of the world. HootSuite: this one works in integration with Brandwatch. You can tap into Brandwatch’s over 70-million data sources to listen in on what your customers are currently talking about. You can find new markets and reach out to potential customers by investing in these two smart analytics tools exclusively for e-commerce social media channels. Google Analytics: it might not be hot, but it is free. It is also one of the few analytics tools that offer 360-degree coverage along with a visual dashboard and printable reports. “Activity Stream” gives you a real-time view of your customer behavior on social networking sites. There are hundreds of such tools and database optimization options. Each one is perfect for a different kind of need. While some are free and standard, others are exuberant and admittedly highly specific for particular purposes. Gradually businesses are moving towards big data management, database construction and harnessing the power of big data for market acquisition. Therefore, optimization of databases to manage the big data coming from social media channels has suddenly become important for both businesses and DBAs. Author bio: Sujain Thomas is a data management expert. She has been working on the management of big data and big data analytics ever since the genesis of it. Her database designs support sustainable growth and escalation of companies along with the exponential growth of big data bulk.